Dazie Delights: Little Musing Candy Right Here! How would you like to win Some thing special from Little Musings? 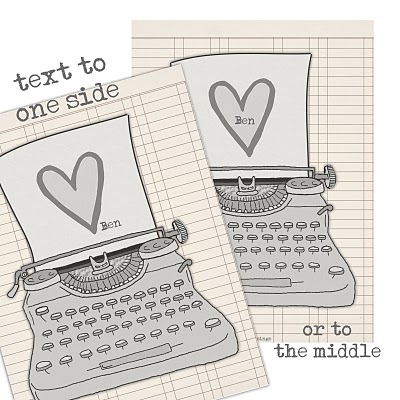 Type Writer of Love which can be personalised and will be perfect for a valentine surprise! It can also be found in her Folksy store if you cant wait and you would like to purchase it now! Here is a example of the print that you could win. Well its simples just add your name to this post and I will draw a winner on 12th of February and thats it!!! It would be great if you popped on over to sj's blog and became a follower too. 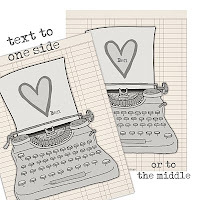 Whilst you are here you may want to hop on over to sj's blog and check out last weeks friday freebie and also check out her latest news about a cd of digi images she has available to buy. Also check out the pictures of when Little Musings Stamps made it onto QVC and sold out with in minutes woot woot! Could you add me too PLEASE hunnie!!! Hi Dazie, Please include me. I'd love to win!! Would love to see if my luck is in !! 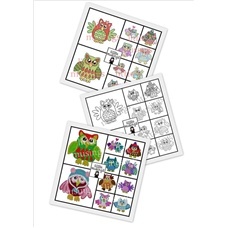 I love these owls but have yet to buy my own! Who knows, my luck might be in! !